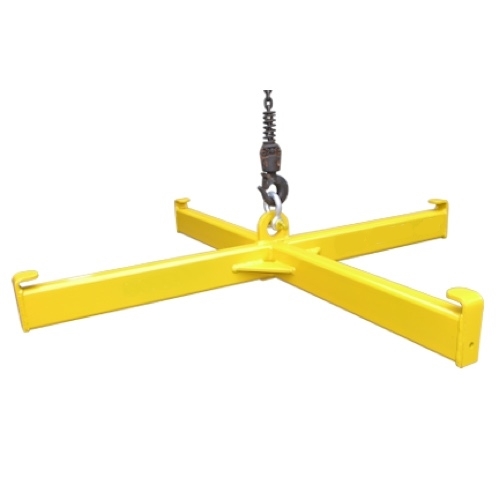 The Bulk Bag Carrier attachment has 4 lifting hooks to handle lifting Bulk Bags with an overhead Crane or Jib attachment.The four loops of the bulk bag are simply placed over the lifting bars into position for lifting. 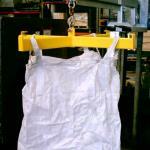 This attachment is used for picking up bulk bags with any type of overhead lifting device. 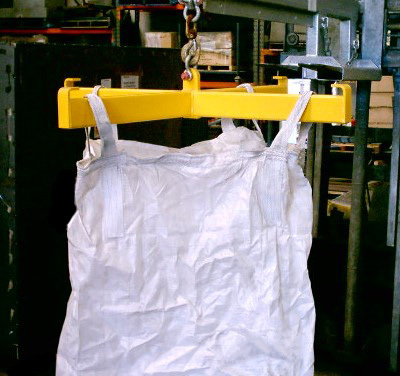 The straps of bulk bags are fixed firmly to the four hooks in either corner of the Bulk Bag Lifting frame which prevents the Bulk Bag from folding in on itself. – Powder-coated Safety yellow finish.